Get my Free Playbook Now! 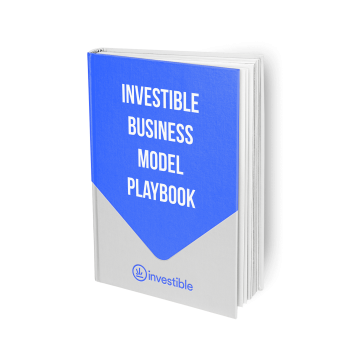 How will the Business Model Playbook help you? Explore different business model methods that you might consider to design your solution. Learn how to create an adaptive business model to withstand an evolving market. Apply new and old strategies that you can consider to create a competitive business model. Investible is Australia’s most active and successful early-stage investment group, with a mission to provide high potential founders the financial, human and intellectual capital needed to scale. Investible have 80+ investments and the is the proud first investor in Canva, Brandless and Ipsy. "Trevor and Creel supported us from our earliest days which has been incredibly helpful given that they have scaled great businesses themselves. It's been fantastic to be able to draw from their experiences and to see them playing such a proactive role nurturing the next generation of entrepreneurs in Australia !" "The Team at Investible really question your why and what problems you are saving. They give honest and sometimes tough feedback with a real motivation of improving your product and helping you to advance quicker." "Trevor, Creel and Investible couldn't have done more to help make Car Next Door a success; from making time to give advice with numerous strategic decisions, to introductions to other investors, through to countless tips at exactly the time you need them"
The Investible Games is a revolutionary due diligence process designed to educate, challenge, inspire and help you scale your business.